August « 2013 « Geekorner-Geekulture. Monsters University is the prequel movie to Monsters Inc., which had been released almost 12 years ago. I didn’t watch that film in the cinema, but when my brother rented the DVD from Blockbuster’s for the weekend (yes, people used to rent physical DVDs in brick and mortar stores in the past), my baby brother watched it non-stop all weekend long. I’d pop around now and then, the movie would play, and I’d sit and watch. I estimate I watched it about 3 complete times that weekend, and I don’t tend to rewatch films in close proximity. The above is basically me saying that I think Monsters Inc. was something special, a movie you could rewatch time and time again, a movie which had a really good emotional backbone (Boo was so good). They waited quite a bit before they’ve released this latest movie. I think it was a solid movie, but it’s not really a successor to Monsters Inc., and the setting is almost immaterial. 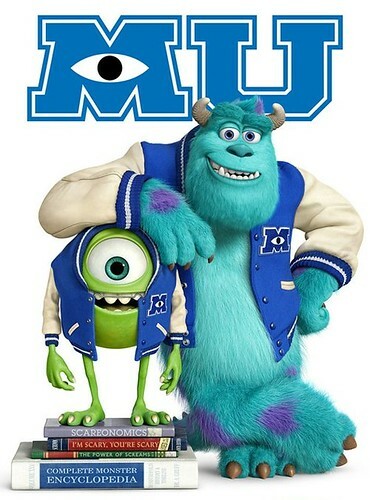 We meet Sully and Mike before they are friends, as they embark on the road to become Scarers in Monsters University. What follows is a regular run of the mill opposites become friend, underdogs rising to the top, how much are you willing to give up for success – a regular story of friendship and attempting to achieve your goals. The jokes are alright but not hilarious, and there are special effects, some special moments, and a general setting that tells you you’re in the same universe as Monsters Inc. – but on the whole, this movie could’ve just as easily belonged to any other franchise. The final part, Sunday. Quite a few shows, some of them even air on Sunday, or late enough at night that I can’t watch them before I get back from work. Definitely a strong day in terms of the shows it contains, probably the strongest day. I work on Sundays, alas, making it not as pleasurable as it could’ve otherwise been. Part 1 (Monday-Thursday): Blood Lad, Makai Ouji – Devils and Realist, WataMote, The World God Only Knows Season 3, Free! Part 2 (Friday): Gin no Saji, Rozen Maiden (2013), Stella Jogakuin Kotou-ka C3-bu, Danganronpa, Servant x Service, Love Lab, Toaru Karaku no Railgun S (continues from Spring season). Part 4 (Sunday): Monogatari 2nd Season, Kamisama no Inai Nichiyoubi, Uchoten Kazoku, Genshiken Nidaime, Shingeki no Kyojin (continues from Spring season). Genshiken Nidaime / Genshiken 2nd Generation – Genshiken Nidaime is one of my two favourite shows of the season. 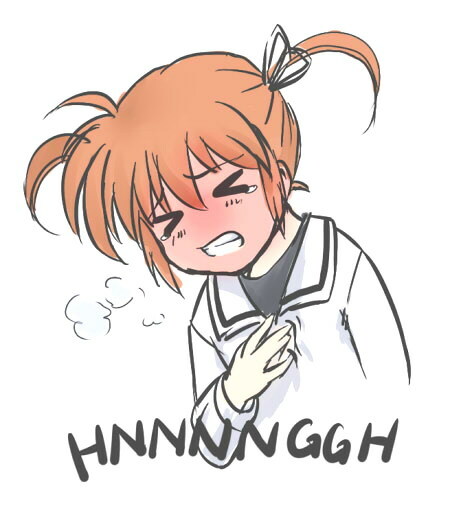 Most slice of life shows either have no conflicts (unlike real life) or are just a catch-all term for anime-sitcoms. Genshiken Nidaime returns us to the college club of the past where the characters discuss anime, manga, and video games, but as most of the old cast had graduated we have an influx of BL (Boy Love)-loving girls, and Hato-kun, a cross-dresser. If you ask me, most so-called comedies aren’t really funny, and when they’re funny it relies on visual gags. Genshiken isn’t a comedy, but when it is funny it is funny because these moments are set up and resonate with the characters’ personalities. This is a show that feels like someone took literal slices out of someone’s life and had decided to give them to you for you to taste and savor. The way the show deals with issues of gender-identity and sexuality is also relatively mature, certainly more mature than what you usually come across in modern media in general and anime in particular. The cast is mostly quite likeable, and even if you don’t like all of them, then you can either relate to them or think of real people they remind you of, or just come off as real people, to one degree or another. This is definitely the show we need, even if it’s not the show we asked for, and dealing (maturely) with issues of sexuality and gender-identity will not help its sales, which is very sad. Current Grade: A+. You should watch it if you’ve watched the original Genshiken. You should watch it if you hadn’t watched the original Genshiken, and then you should watch the original show. Time for the 2nd entry, covering Saturday’s shows. This seems like a simple day, but due to the way the Japanese release schedule works it mostly all piles onto the Friday shows, making Friday hella busy. Still the simplest day to cover in terms of this post. Gatchaman Crowds – If I had to tell you what this show is about then I wouldn’t have an easy time of it. This show covers a world where people are given powers and perform as sort of a local branch of an intergalactic peace corps. But that’s only the first layer. The second layer is more like an onion discussing social and societal issues such as the diffusion of responsibility, diffusion of leadership, leaders versus followers, heroes versus regular people, singular people versus the power of the crowd. I actually appreciate it that the characters are not author-mouthpieces, they contradict themselves, and the show is aware of it. 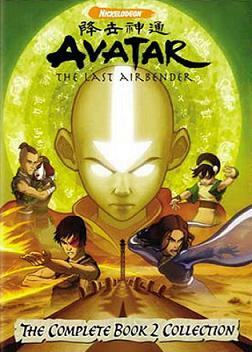 I wonder how this show feels when marathoned, someone should find a friend to find out. I, for one, think that this show is much better if you sit down and think about every episode after watching it, or even pause mid-action to think. There’s just so much to chew on, but I’m somewhat biased due to having a degree in Sociology, perhaps. If you need aid, I suggest looking at reddit/bloggers to see their thoughts on the show, it might help move you along. Current Grade: A+. I think you need to watch it. I think this show is better when you think about it, so I don’t suggest waiting for it to end in order to marathon it. Also, I wasn’t sold on this show after episode 1, so give it at least two – you might like one and not the other. Episode 2 is more indicative of this show. Gin no Saji / Silver Spoon – I’ve never laughed so hard at seeing a chicken lose its head. This show is proper slice and life. Character growth is a bit slow, but then again so it is in the real world, we have Hachiken, the city boy move to an agricultural high school. The setting feels a lot like an army camp, the colour of the clothing certainly has an effect on me as well. It has funny moments, the cast is likeable, and I just enjoy watching it. One thing is that Hachiken is pretty spineless, which is one of the reasons he came to this school, he has unbased objections without really thinking things through, so a few moments after objecting to something he goes through with it anyway. I still want to see how they’ll handle him having to kill the pig he raised, it’s bound to be good one way or the other. Current Score: A-, if you like slice of life shows, this is probably one of the better shows you could watch. I’m watching a lot of shows from this season. So many in fact, that I’m going to split my “midseason impression” post into 4 parts, depending on the days of the week the shows are airing on. This will give me a bit more space to discuss each show, and whether I think you should watch it or not. Part 2 (Friday): Gin no Saji, Rozen Maiden (2013), Stella Jogakuin Kotou-ka C3-bu, Danganronpa, Servant x Service, Love Lab, Toaru Kagaku no Railgun S (continues from Spring season). Watashi ga Motenai no wa Dou Kangaetemo Omaera ga Warui (It’s your fault I’m not popular) also known as WataMote – This is a cringe comedy covering an unpopular girl called Tomoko. Tomoko has absolutely no common sense, but she knows what she wants – she wants to be popular. What follows are her attempts to become more popular which are horribly misguided, and her interaction and lack thereof with her surroundings. The first episode didn’t really make me cringe, but I’ve found it hilarious, everything just added up so wonderfully. The second episode kind of hit home, and introduced to us Tomoko as the tragic heroine, she met with her old friend and felt left behind. This was very sympathetic. The third episode had introduced the third axis of the show – that of the cringe episode, discussing what I call “Sympathetic Viewer Awkwardness”, the cringe-factor. The OP linked above is pure win. They’re also putting effort into very relevant endings to most episodes. Current Grade: B to B-, started as A+, but had slowly been losing steam, being less and less funny. If you want a comedy which is actually focused on trying to make people laugh, then this is still the show for you this season.